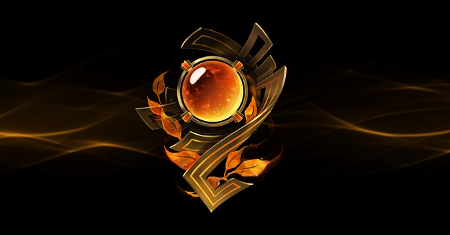 Granted by Riot, League of Legends players who were previously penalized for falling below the Honor two level still have almost three whole months to gain back their honor for Season 8 rewards. The deadline for getting to Honor Level 2 is now February 11, 2019! On the other hand, this does not apply if you were subject to 2-week suspensions, botting, boosting, cheating, or permabans (sorry Eric). Be sure to check out our guide on How to Farm Honor FAST to maximize your honor grind and check out the official post below from Riot Keyru along with a quick FAQ! We’re making a change to the Honor eligibility for End of Season rewards. If you’ve received a chat restriction only this past season, and are Honor 0 or 1, you will have an opportunity to climb back to Honor 2 by February 11, 2019. If you are Honor 2 at that time, you will get all the rewards you’ve rightfully earned with your blood, sweat and tears. The above does not apply to any other more severe penalty type, such as 2-week suspensions, botting, boosting, cheating, or permabans. If you’ve received any additional penalties other than just your chat restriction, you won’t be eligible. The climb is possible in that timeframe, and as long as you’re playing to win and not making anyone else’s experience a bad one, you’ll get there quickly just by playing a few games a week. This only applies to your 2018 tier, so even if your rank changes, you’ll receive rewards based on where you ended up in November. To be clear: we will be keeping the Honor eligibility in place for future ranked seasons, and going forward the results of this one-time exception may be helpful if we decide to explore possible tweaks to the to the Honor 0 and 1 experience in the future. As always, give us your feedback on this change, and if you’re still climbing out of Honor 0 or 1, we’ll see you in February! Q: How do I hit Honor level 2? Do I have enough time? A: Just be kind to yourself and to others while you're playing League. Even if you start from level 0 and only play a few games a week, you've got more than enough time to hit Honor level 2 by the deadline. There isn't much more information Player Support can provide you other than what is mentioned in THIS article, under "Reform Period" and "Honor Lock". Q: I'm so close to Honor level 2, but I got suspended. Can I be eligible for this re-grant? A: Sorry, this is specific to chat restrictions. If you've been suspended and your behavior's back on track, you'll have no problems being eligible for rewards next year. Q: Can I transfer servers to restore my honor and get the rewards? A: No, we'll check your Honor level on the server on which you would've received rewards. So, if you're Gold in Brazil, you'll need to also be Honor level 2 in Brazil by the deadline. Q: Can I qualify if I receive more than one chat restriction? A: Yes, you can. Chat restrictions are the lightest punishment you can receive, so as long as you haven't been suspended for other egregious behavior, you're going to have a chance to reform and qualify - no matter how many times you were chat restricted. Q: Does this mean Honor requirements are gone? A: No, we'll still have Honor requirements next season. This is a one-time deal. Q: What does "punished" mean exactly? A: Anything other than a chat restriction that impacted your Honor Level. Examples: 14-day suspensions, boosting or cheating related bans, etc. Q: Is Riot excusing abusive behavior? A: We are not. We heard your feedback that it didn't feel great to receive a chat restriction, especially at the end of the season, and being locked out from your end-of-season rewards for the lightest penalty we have. This change is to offer a one-time second chance to players that demonstrate reform from smaller infractions exclusively. The weight of the chat restriction should remain the same (and we won't be lifting any that are warranted), but we felt that the impact it had on your Honor Level and Season Rewards was a little too much in this case. Q: I've received a suspension during the pre-season. Do I still qualify? A: Yes, if the suspension started during the pre-season, you are eligible. We will start reviewing this back when the official 2018 season kicked off. The specific dates are: January 16, 2018, to February 11, 2019. Q: I've received a punishment in the 2017 season, but not in 2018 - not even a chat restriction. I just haven't played enough after that penalty, so my Honor level is below 2. Can I get the rewards? A: No. This initiative is meant to address a very specific reform opportunity related to how Chat Restrictions, Honor and End-of-Season rewards worked together in 2018 only. Again, be sure to check out our guide on How to Farm Honor FAST if you haven't already! Excited for a chance at redemption? Comment below!